To buy your own personally signed copy of ‘Dual Visions’, Book 1 of the Ancient Alien Series, and ‘Vashla’s World’ Book 2 of The Ancient Alien Series, for just $15 each plus postage in Australia, simply email me – smith.jillwrites@gmail.com, I will reply with bank details for direct deposit and dispatch a copy of this great book to you as soon as possible. A book or thirty-four short stories for children by eight talented authors, one of them is me. For the eight to twelve-year-old reader in your family. 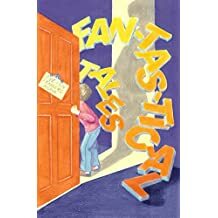 To purchase your personal signed copy of Fan-tas-tic-al Tales for only $15 including plus postage email; smith.jillwrites@gmail.com and I will reply with bank details for direct deposit and forward you a copy as soon as possible. I have six short stories in this anthology. 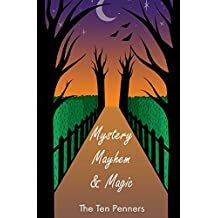 The Ten Penner’s new adventure based anthology of short stories, novella’s and poems now available through Amazon – Mystery, Mayhem & Magic, I have nine stories in this anthology.